Observers of real estate markets are becoming increasingly aware of the disruptive impact sale-leaseback transactions have when seeking real estate value. Sale-leaseback transactions have become a popular financing mechanism and seasoned real estate analysts know to be very careful when these sales show up in a data set. Unfortunately for most analysts, the confusion continues to impact conclusions. When investigated further, many find that sale lease-back participants often give little consideration to the real estate when establishing a purchase price or rental rate. Understanding these types of transactions is challenging enough for conventional property types, but in the world of data centers and other special purpose properties, the challenges are compounded. Analysts seeking the market value of data center real estate must have sufficient education to address 1) the technological complexities of both the real and personal property components and 2) the relevance of the many sale-leaseback transactions clouding the market. In most basic terms, a sale-leaseback occurs when a prospective landlord writes an owner/user a check, receives the deed to the property, and begins collecting rent as a landlord. The larger the check, the larger the rent. The higher the credit of the tenant; the lower the risk and higher the sale price. These arrangements often occur in new facilities and the rent is often a function of what the tenant has incurred in developing both the real and personal property components of the facility. Many blue chip companies, once considered the lowest of “low-tech”, have now become big players in the world of “big data.” With this shift, the collective credit rating of the data center user has improved. The number of data center users that enjoy “investment grade” ratings on their long term debt offerings has also increased. As the quality of the tenant improves, so does the desirability of the “landlord” position in a lease contract. In fact, landlords are so eager to secure these tenants that the direction of courtship has reversed. Landlords seek the tenants by offering large sums of money for the facility in exchange for long-term lease contracts – a sale-leaseback. There is one thing participants agree upon regarding sale-leaseback transactions; the real estate is one of the least important elements setting these purchase prices. And at the end of the day, it is the real estate value that the assessors must determine. Data center facilities have multiplied with the same vigor as the technologies they serve. Data centers began as cooled utility closets with telecom and power access and have evolved to become massive off-site facilities where security is not just controlled by highly trained specialists, but also by deeply strategic defensive locations. The modern data center building is different as well. The goal of these properties is to provide resources and security to support the servers and systems within. Multiple levels of system redundancy are the market standard, as the ideal data center is one that can guarantee ongoing performance and security. There has also been a marked shift in the typical profile of the data center user. Not only has the balance sheet of the typical Silicon Valley high technology tenant improved, but mature industries now produce quintillions of bytes of data daily requiring billions of megawatts of data center space. According to a 2017 Forbes article, “over the last 2 years alone, 90 percent of the data in the world was generated”. 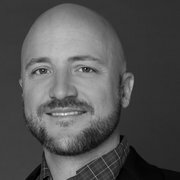 In other words, 90% of all data that exists today did not exist 2 years ago. The new “Internet of Things” has resulted in every product, even in the most low-tech of industries, becoming a massive producer of data. Ask anyone who has plugged their e-cigarette into their computer. 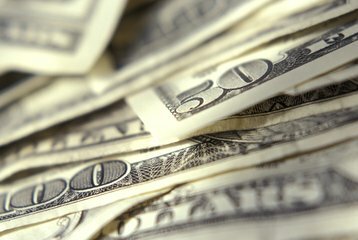 Survival in the data center industry depends on staying well “ahead of the curve.” Unfortunately, one of the greatest business expenses, property tax, is markedly “behind the curve”. Assessors struggle to comprehend this property type, and in many jurisdictions, their approach is years behind the curve. Assessment notices for these properties are erratic, with assessment shocks occurring subsequent to a transaction as assessors scramble to make sense of these sales. Ultimately the full purchase price often gets enrolled to the real estate. With the exception of the deed exchange, the cash flow, diligence and overall “math” in a sale-leaseback looks more like the granting of a loan than of a real estate divestiture. These transactions have misled the market into believing that the value of perpetual, unencumbered ownership (fee simple) interest is equivalent to the value of the financing arrangement. Given the complex marriage of personal tangible, personal intangible and real property types comprising data centers, there is also a significant risk of double taxation. The state and local taxes that accumulate during the development of real property has remained consistent for hundreds of years. The value chain from raw land to finished building structure is a chain of taxable events which plays a considerable role in the derivation of real property assessments, rules and rates. The tax aggregation that comes from developing a piece of personal property, such as an on-site electrical substation, is different. Unfortunately when a data center facility sells, the value of this power infrastructure shows up in the sale price, and eventually lands on the real property assessment notice. The power infrastructure is arguably one of the most valuable physical elements to a data center facility. Data centers are now being developed to provide users with 400 to 500 megawatts of power, enough to supply 240,000 to 300,000 homes, or the entire City of Fort Worth, Texas. As you can imagine, state and local taxing jurisdictions receive considerable revenue from supplying power to a community or data center of this size. The tax aggregation that is accumulated at every step of bringing substations to these properties is designed such that taxes are assessed during the use, transmission and sourcing of power (coal versus renewable and competitive versus controlled power markets). When a data center sells, the consideration paid is a function of the power capacity of the facility. The second largest data center market in the United States, as measured by megawatt inventory, is Dallas/Fort Worth. This market is also one of the most actively re-assessed, and consequently the average assessed value of a data center has increased over 80% during the past 5 years, from an average of $150/sf to $271/sf. Most notable to the article, we have seen property assessments more than double after a sale-leaseback. Some of this can be attributed to the fundamental appreciation of real estate markets, but much of this is influenced by complicated transactions such as sale-leasebacks and a misunderstanding of the real property elements that comprise a data center facility. Collin County, in the Dallas/Ft. Worth metroplex, has seen some of the most dramatic reassessments of data center properties in recent years. Collin County is home to the largest concentration of data centers in the State of Texas. Many of Collin County’s data center assessments have increased as much as 300% in 3 years and some of those locations now exceed $1,000/sf which equates to over $25/sf for property tax passthroughs to owners/tenants. In some cases the tax passthroughs now exceed the rent. The factor driving these increases are one off and/or portfolio sales that include sale-leaseback transactions. 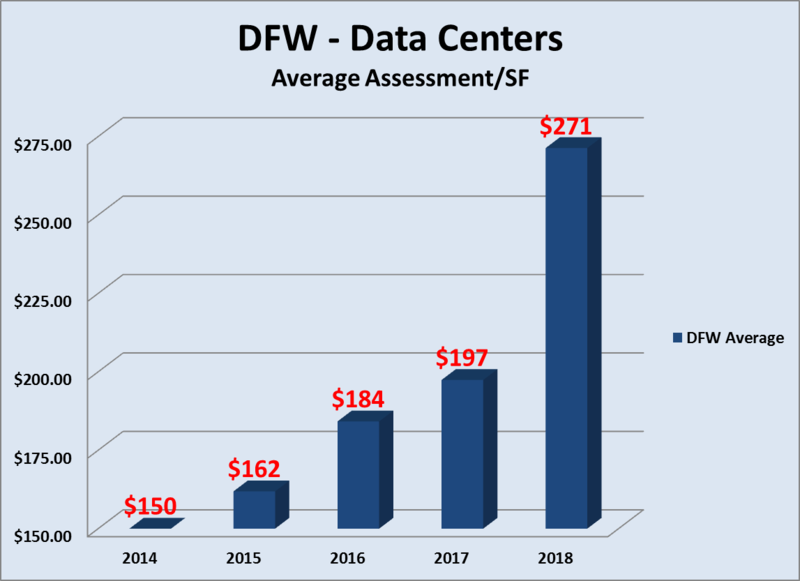 Many of the largest data center operators have indicated they will be looking to locate new facilities in other metroplex counties that provide more reasonable valuations. Several expansions have also been put on hold in Collin County. We continue to study this property type diligently and continue to learn exactly how the market reacts to certain elements of value. One thing is certain, property tax payers must react to the data that is available in order to arrive at credible conclusions of taxable market value. For tax payers who are unfamiliar with these critical valuation concepts, competent tax professionals and appraisers are available to help navigate this accelerating sector of the commercial real estate market.